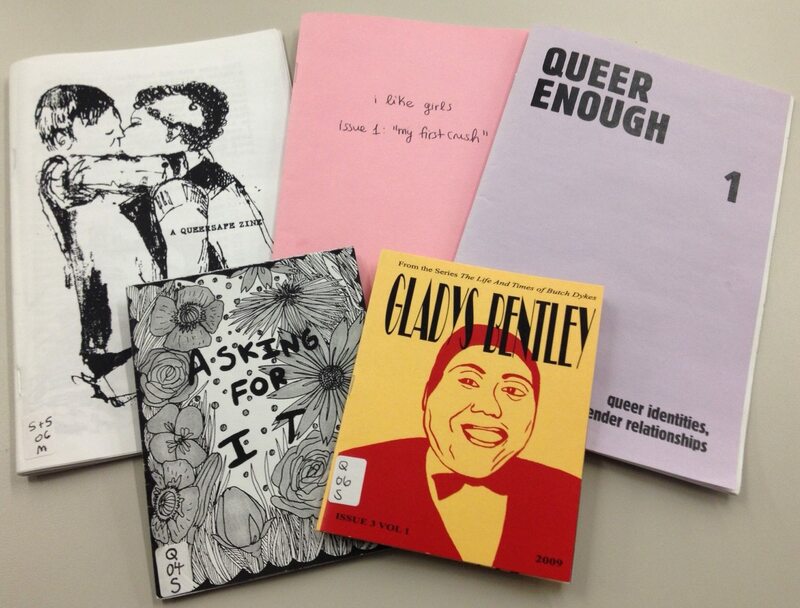 In honour of the upcoming Toronto Queer Zine Fair, come to the Zine Library and check out our new display featuring zines exploring queer identity and issues. A few zines from the display. Gladys Bentley (of the series The Life and Times of Butch Dykes) tells stories of the life of Gladys Bentley in her time as a gay entertainer in the 20s. Asking For It features drawings of men wearing woman’s lingerie in various poses (some provocative and others not). I Like Girls: My First Crush explores the excitement and uncertainty of queer women’s first crushes. This issue includes 7 stories as well as thoughtful art and collages throughout. Queer Enough contains essays, stories, poems, and art about the challenges that queers in different-gender relationships face. This issue includes articles such as “Queer Enough,” “Without a Map: The gender adventures of a budding tenderqueer,” and more. 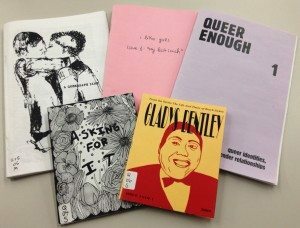 A Queersafe Zine is a super informative zine about sexual health geared toward the queer community with a focus on creating a safe space for information about pertinent topics related to sexuality. It includes illustrations. This is just a small sampling of the awesome zines from the display, so come check it out to see what else is here! Art + Feminism Wikipedia Edit-a-Thon Saturday September 27th! 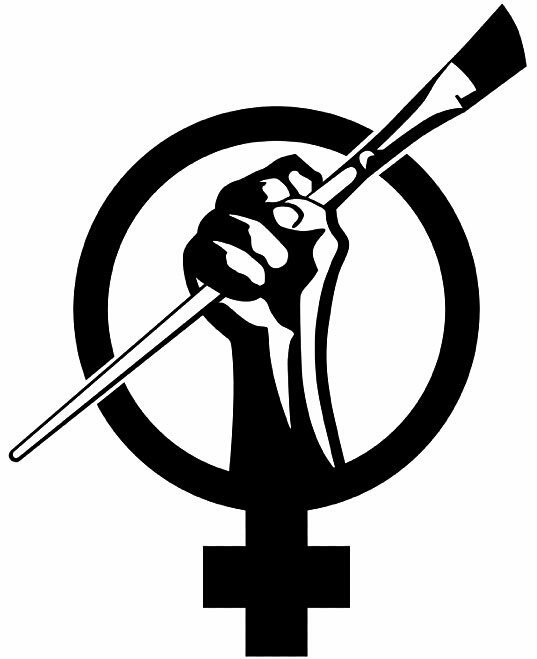 Editors Wanted : Art + Feminism Wikipedia Edit-a-Thon @ OCAD U’s Dorothy H. Hoover Library Saturday September 27th, 2 – 5:45 pm. Join OCAD University Library in their on-going commitment to expand the representation of women on Wikipedia. Help bridge the gap — let’s edit! Learning Zone Extended Hours Have Arrived! The Learning Zone will be hosting multiple workshops throughout this semester starting with Financial Matters CREATiveFund$ Money Mondays, free financial planning for students and grads every Mondays 10-11am/repeating 2-3pm, space limited RSVP; Need to learn a new software application for your next project? Visit with IT Salon, Tuesdays @ noon, informal one-on-one software help, presentations and pizza — next workshop October 7th; Interested in enhancing your professional skills? Career Development is offering Resume/CV, Portfolio & Interview Skills Drop-In Clinic Thursday October 9th & October 23rd, 3-4pm.